Click here if you have a discount code. Complete a sophisticated outfit with this exquisite blue oxford cotton made to measure shirt wich guarantees a modern and elegant silhouette. Team it with a blue prince of wales check online suit and a burgundy & blue bow tie. 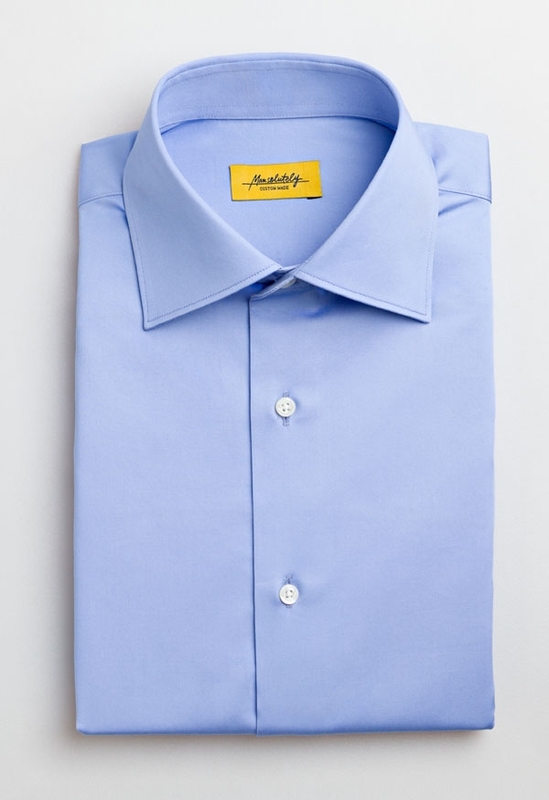 Ivy Oxford Shirt was added to your bag with your customizations. 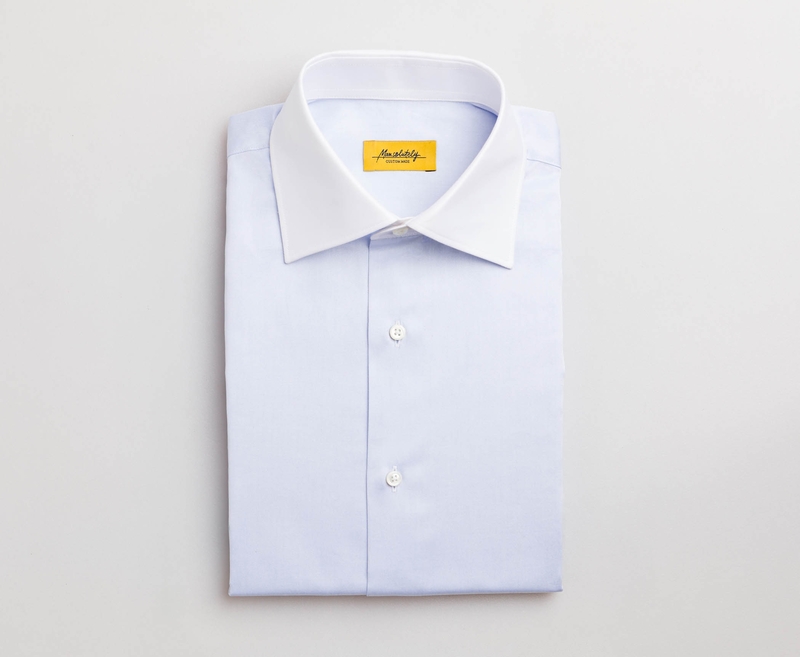 Ivy Oxford Shirt was added to your bag with default customizations. Everyone has his own reasons for what he wears. At Mansolutely you choose and we help you through practical tips to match your style and body shape. We guide you step by step through fabric selection, customization and measurement taking to always get it right. Mobile version ready in your phone! You may access now from your computer. Subscribe and we will keep you posted on all our news. It's time to upgrade and wear the best garment you've ever had! First of all, choose the fabric that really inspires you. We have more than 100 different fabrics with a great variety of colours, designs and weavings. Our products are made with 100% natural fibers which provide an irresistible touch and unsurpassed quality. 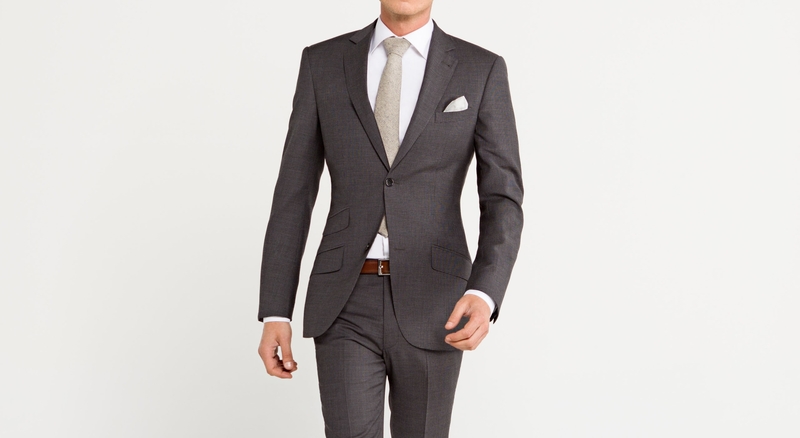 Our suits are made with fine wool. This natural fiber responds to changes in body temperature in both cold and warm environments, ensuring greater comfort. We place at your disposal a sophisticated configuration platform to create in a few and easy steps your perfect garment. Choose the lapels, pockets, number of buttons… Make it just like you want! During the customization process we help you through practical tips so you can choose between numerous options according to your body shape, style and the garment's purpose. Furthermore, you can also choose inner fabric lining and add a short message making your garment even more special and unique. Made from your specific body measurements, Mansolutely pieces bring out the best of you. Wool and cotton are more elastic and softer respectively than other fibers so the drop will be even better. It will only take you 10-15 minutes. You will need the help of a family member or a friend and a measuring tape. Easy, right? We also provide you with simple videos in order to guide you step by step through all the process. Even if you haven't used a measuring tape before, the process has been created so absolutely everybody can complete it succesfully. Once your order is completed, you will receive your Mansolutely products within six weeks at the given address. We offer free shipping on orders over 150€. All our garments are custom-made according to your specific measurements. In case you want to adjust them, Mansolutely will offer you an alteration credit so you can take it to a local tailor. In the unlikely event that the garment can not be altered, Mansolutely will make a new one for you at no additional cost.